Click through for a fun inside activity to help beat the heat during the summer holidays! Here’s a fantastic way for little people to have hours of fun and all you need is a Villa Cartabianca doll house. 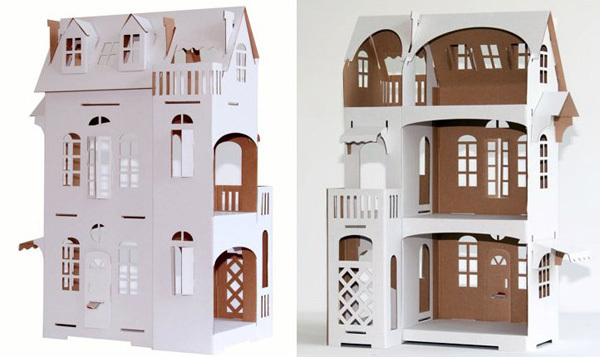 This cardboard doll house arrives pre-cut, pre-scored and sealed. All you need to do is fold here, fold there and pop out the windows, awnings, doors and so on. 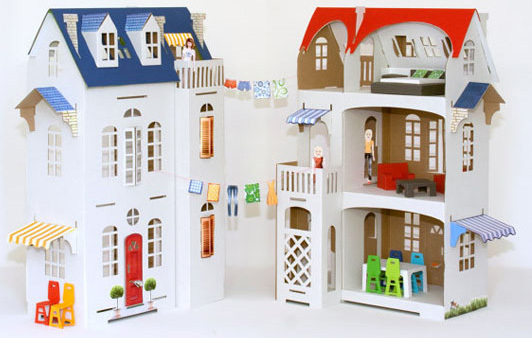 A magnificent three storey doll house that stands forty-five centimetre tall, you can put your own interior (and exterior) designer stamp on it. Starting as a blank white canvas you can decorate as much or as little as you like. A selection of decorations are included and printed on high quality paper, but it’s completely your decision whether to use them or not, after all your child may prove quite the design diva given the opportunity! The mere mention of craft activity might have you heading for the hills at the thought of the mess, but Kassiia of Cartabianca has that all covered – you only require paints, glue and scissors depending on how your child decides to decorate and of course, once decorated it’s free to play in. This gorgeous abode is priced €12.90 (about $16 Australian) and available from Cartabianca.